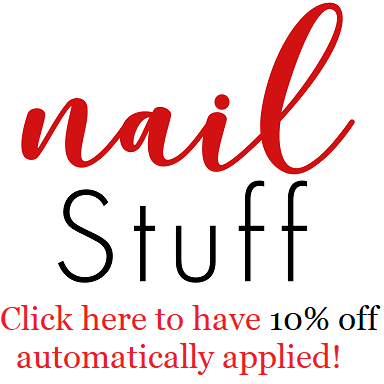 Intense Polish Therapy: Stay Cozy with Avon! Hey guys! I hope you're all doing wonderful! The chill of the season is creeping upon us! So trust your first instant, COZY UP! Avon as always makes shopping super easy, especially since you never have to leave your home when shopping with Avon! My Avon rep always drops off the new catalogue, I e-transfer her the money or she picks it up, & then when my orders in she delivers it! However if you don't have a Avon rep you can always shop online directly from their website. The first thing you need to do is run a nice warm or hot bath, which ever you prefer. Then pour your desired amount of Avon Senses bubble bath in, the one I'm currently in love with in their Frosted Winterberry. Avon describes it as "A seasonal blend of festive red currant, zesty orange peel and frosted blackberry". However if that's not to your liking they have a ton of other options varying from floral, clean, fresh & fruity. They regularly retail for $10 however they do go on sale fairly often, & when they do I love to stock up! Second step is to clean yourself in the most pampering way, with this long & adorable loofah. 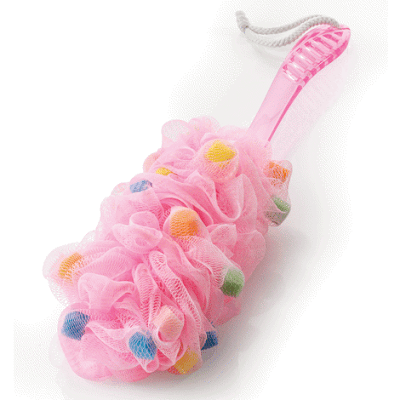 It's a very playful looking loofah, due to the fact that it has a pink hand & the mesh is pink, with multicolour squares of sponge in it. Absolutely perfect for working up a good lather & scrubbing your back or feet without having to do a lot of work. It's 46 cm L. & retails for $10.00! Once you're out of the bath & dry you can slip on these comfy luxe slippers that are made from faux fur. With the insole being made from memory foam it feels like you're wrapping your feet in a blanket. The Bottom sole is a flexible yet firm rubber kind of plastic that ensures stability, while the memory foam feels like you're walking on a cloud. They usually sell for $19.99 however they are currently on sale for $12.99!! This robe feels like it was made perfectly for those days you wanna be a homebody. I love putting it in the dryer for a few minutes before putting it on because it just makes it a bit more enjoyable. Much like a comforting hug. It's so unbelievable soft to the touch, it almost feels like you're petting an incredibly soft puppy. Very enjoyable. The robe is safe for machine wash & dry, which is something I appreciate. It's very low maintenance. 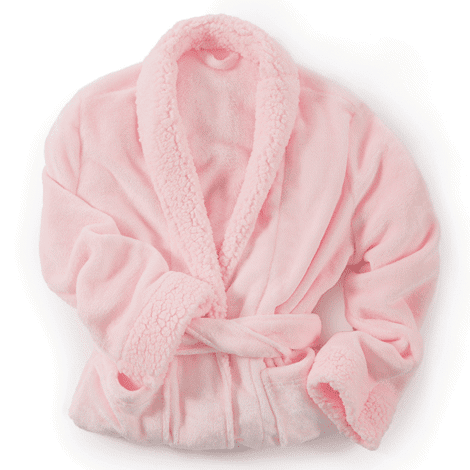 This robe is normally $49.99 - $59.99 however it is currently on sale for $39.99 - $49.99. Personally I'd recommend these items for treating yourself however they would make a beautiful Christmas gift to someone you love as well. Perhaps your grandma, mom or mother in law? I think they'd just be over the moon receiving something this thoughtful, don't ya think?